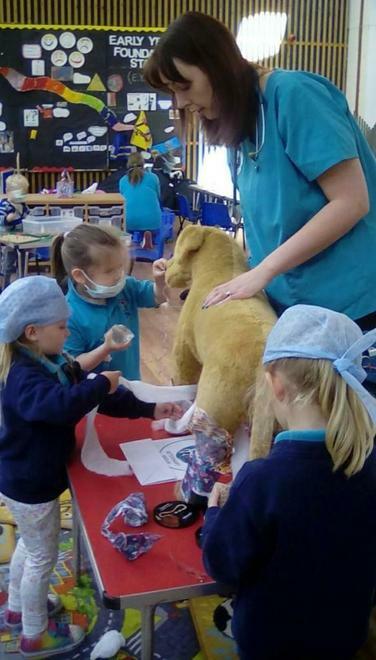 A couple of gorgeous pictures of our visit from St Kitts Veterinary Group... 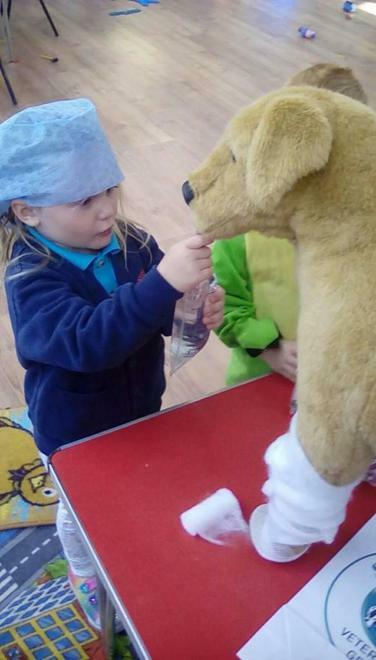 They gave a fantastic talk about what we do at the vets, they even bought along Dudley the lifelike dog, who was expertly bandaged and given fluids and medicine by the children (who were of course appropriately dressed in surgical hats and masks! )..